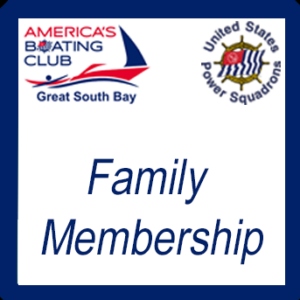 There are two types of membership in America’s Boating Club®. Individual, or family. Individual membership is for a single person. A family membership includes your spouse/partner, and all children that live in your home. You can purchase your membership here. ⋅ You do NOT need to own a boat to join our club. Many of our member either no longer have a boat, or never have. There are many social aspects of the club that take place on land, and many if not all of our on-water events are accessible via ferry or car. ⋅ Membership applications are subject to review by the membership committee and must be approved prior to being granted ‘Active Member’ status. Should your application be rejected, you will be refunded in full within 72hrs. ⋅ There are no ‘minimum requirements’ to join or remain a member. You have the option to be as involved as you desire. Family members have the same rights and privelages as the Active Member. 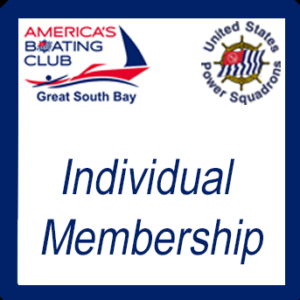 By joining Great South Bay Power Squadron you are also joining The United States Power Squadrons, and America’s Boating Club. These dues are automatically incorporated into the numbers shown above.